Water is all around us and it’s the most important natural resource for humans. We cannot survive more than 3 days without water and it’s important that our kids know how to protect this resource. 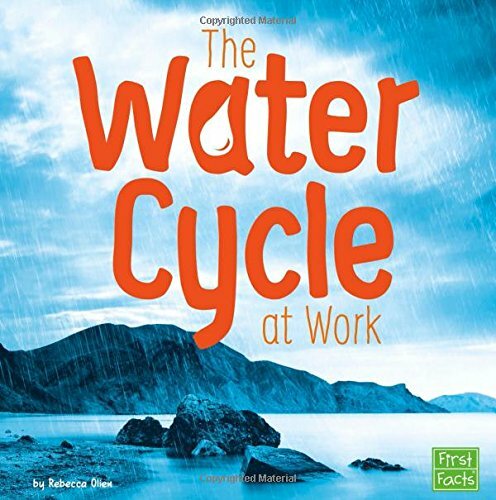 The water cycle ensures that we have a constant supply of fresh water. You can see how water transforms and goes from our lakes to the clouds and comes back down as rain or snow when the temperatures are below freezing. 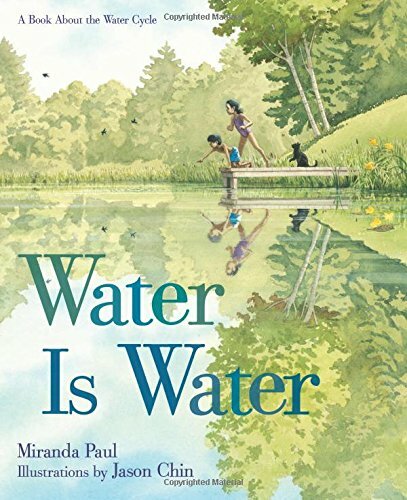 Talk to your kids about water conservation and how pollution can affect our water resources. Printer (I have this one and I love it! 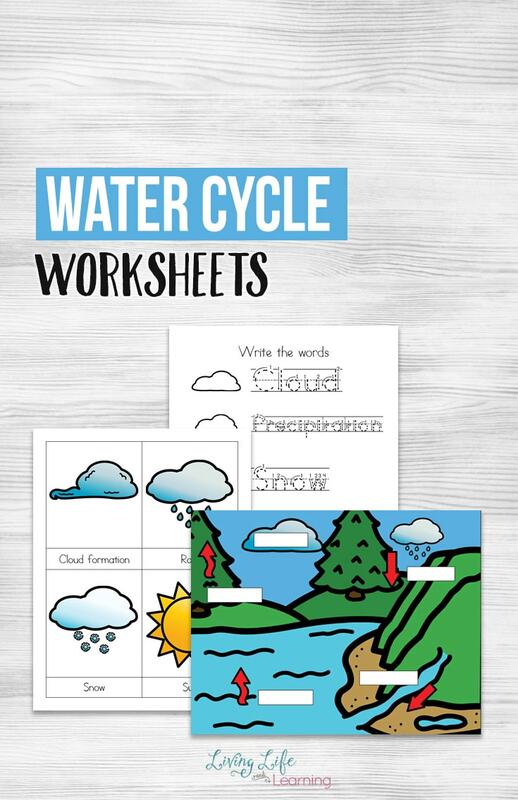 The water cycle can be filled in with a pencil or they can cut and paste the words into the blank spots. 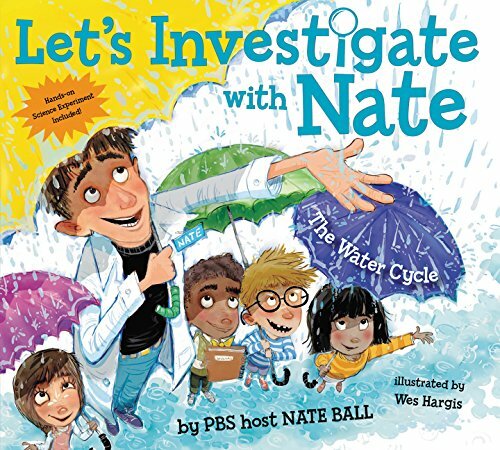 To extend this activity, create your own water cycle bag experiment, it’s a super simple science experiment that will show how water transforms into different states. The water begins to turn into water vapor as it heats up. Head outdoors and set up your own rain gauge to measure the amount of water that hits the ground when it rains next. There are so many ways to explore the water with your kids. Today’s sponsor is Math Mammoth. 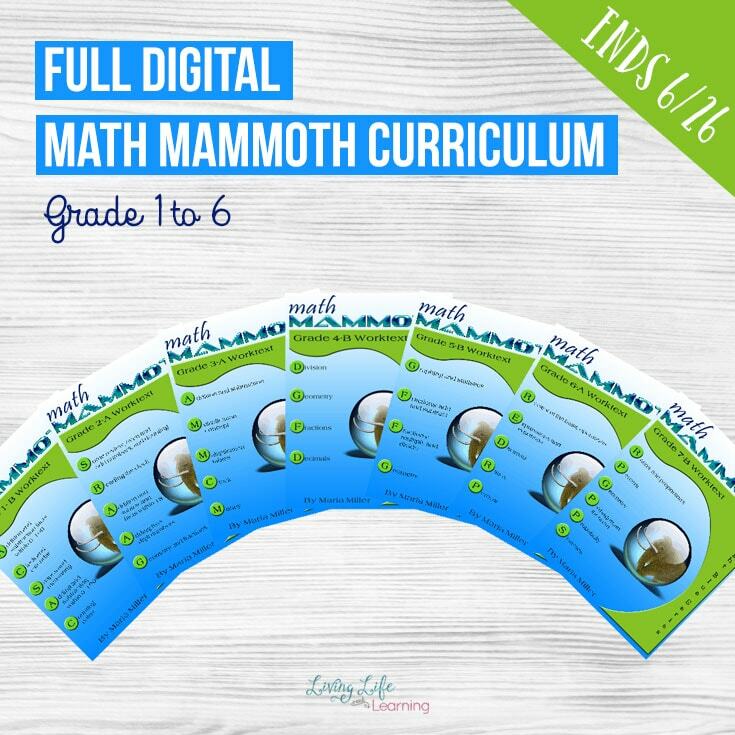 Math Mammoth is mastery math curriculum, where each grade level is organized by topic. Your child learns one topic at a time until it is mastered before moving onto the next with review built in. 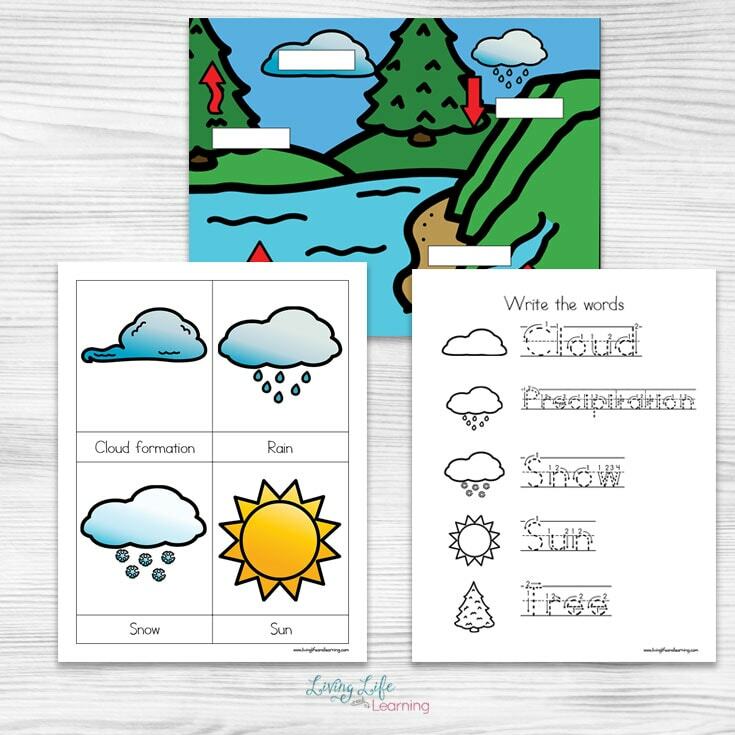 The worksheets are very visual and demonstrate a strong conceptual understanding of math with a strong emphasis on mental math. Get 20% off of any downloads/CDs sold at MathMammoth.com site! After you add products to cart, apply the coupon code on the next page. The coupon is valid through June 30, 2018. 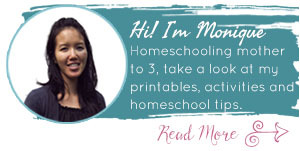 By entering, you give permission for your email address to be added to Maria’s Math Tips, a monthly newsletter by Math Mammoth AND you will receive weekly emails and exclusive offers from Living Life and Learning. 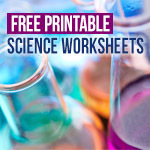 I love all of your cute printables — and your suggestions for supplementary reading and activities! Oh, and btw, the printer link isn’t working.